People with HIV have been failed by the government’s new disability benefit, according to new research. The research by the National AIDS Trust (NAT) found that only three-fifths of people living with HIV were found eligible for the new personal independence payment (PIP) after being reassessed. NAT says its research has confirmed long-standing fears that people with HIV would not receive the support they needed under PIP, which is supposed to help cover people’s extra disability-related costs. Its report shows that only three-fifths (63 per cent) of the 1,000 people with HIV who were previously receiving disability living allowance (DLA) and had been reassessed for PIP were awarded the new benefit. This compares with 73 per cent of all DLA claimants who had been reassessed and were awarded PIP, according to the figures, published by the Department for Work and Pensions (DWP) last December. One charity that works with NAT, River House, described yesterday (Wednesday) how a 57-year-old man who was diagnosed last October with HIV and also had chronic obstructive pulmonary disease, had been awarded zero points after a PIP assessment in April. An appeal to the Department for Work and Pensions (DWP) – the so-called mandatory reconsideration stage – was refused in late June. By this time, his health had deteriorated even further and he was admitted to hospital, where he was diagnosed with untreatable lung cancer. He was due to receive DWP’s decision on a fresh PIP application this week, but died on Monday morning. Another River House service-user with HIV has described how he had to start using foodbanks after his PIP was suddenly stopped because he missed a renewal deadline by just two days after he was diagnosed with cancer. DWP refused to reconsider removing his PIP and he had to wait more than 16 weeks to be assessed again. He said: “From the moment that my PIP stopped, I lost the uplift in my ESA [employment and support allowance]that I received because I was now not receiving PIP. The NAT analysis also shows that people with HIV who had been claiming DLA were more likely (43 per cent) than the average DLA claimant (30 per cent) to see their level of support cut if they were awarded PIP after a reassessment. According to last December’s figures, only about 1,000 of the 7,920 people living with HIV who were claiming DLA at the start of the PIP rollout in 2013 – which itself was about 10 per cent of all those with HIV in the UK – had been reassessed. 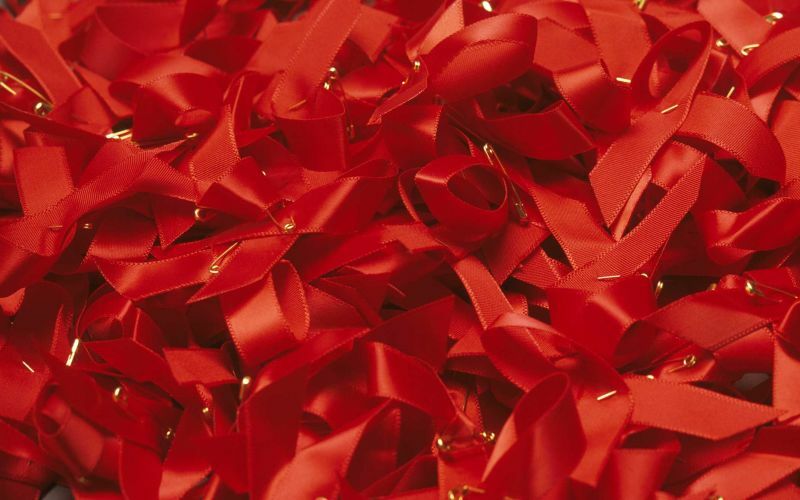 The charity says that not everyone living with HIV in the UK has benefitted equally from modern treatments – for example, long-term survivors and people diagnosed late – and some will have life-long health problems as a result of HIV. One study found that two-thirds of people living with HIV in the UK have at least one other condition, in addition to HIV, and 38 per cent have more than one additional condition. Deborah Gold, NAT’s chief executive, said: “The evidence so far is that PIP is not working for people living with HIV who need extra support. “The assessment is not fit for its stated purpose, to identify the disability-related barriers to participation and independence experienced by people living with HIV. Among the charity’s many concerns about the assessment process are that it fails to accurately capture: the risk of isolation due to HIV-related anxiety; the need for support with nutrition; and the importance of adhering to HIV medication. Sarah Radcliffe, NAT’s director of policy and campaigns, said that the research – the first to be carried out into the impact of PIP on people with HIV – shows that the concerns raised when the abolition of working-age DLA was announced in 2010 were not baseless. She said the way the assessment was devised “means people living with HIV will not have their support needs identified – or where they are picked up, this will not necessarily translate to support”. And she said the social model “rhetoric” used by DWP when it introduced the new benefit – focussing on how social factors create barriers to participation for disabled people – “has not translated to reality for PIP”. Instead, she said, the PIP assessment “looks a lot like the work capability assessment’s notorious ‘tick box’ medical approach”. She added: “The descriptors used are proxies for a basic existence and not for barriers to participation or the extra costs associated with an active, independent life. “It is not too late to improve PIP for people living with HIV. The vast majority are yet to be reassessed. A DWP spokeswoman said in a statement: “We introduced PIP to replace the outdated DLA system – it takes a much wider look at the way someone’s health condition or disability impacts them on a daily basis and is tailored to suit each individual’s needs. But DWP figures from last December also showed that fewer than half (about 126,000) of the 254,000 people previously receiving the higher rate mobility component of DLA secured the same level of mobility support when reassessed for PIP. And unpublished DWP figures obtained by DNS in March showed nearly half of disabled people subject to “planned reviews” of their eligibility for PIP were having their existing award either cut or removed completely.